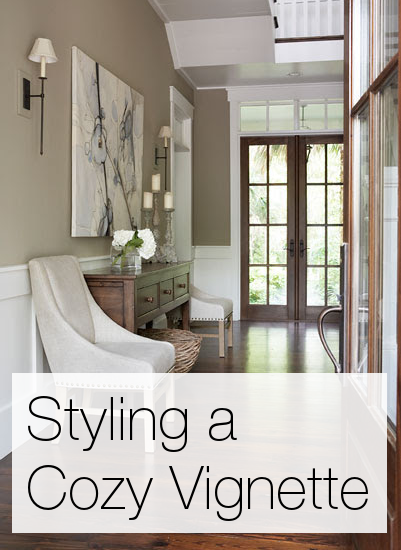 A vignette is an effective way to add visual detail to your home. Vignettes are an intentional small grouping of items in a room or on a specific surface, like one would find on a well styled foyer table. These artistic groupings can be set up virtually anywhere and include any combination of items you can think of. They can come in several variations, colorful, neutral, chic, or sophisticated. Sometimes what you want out of a vignette is a sense of welcoming, cozy comfort. Read our list of tips to make your vignette cozy and captivating. fresh bouquets, floral prints, or a color palette inspired by your favorite blossoms can make your vignette something you'll love. 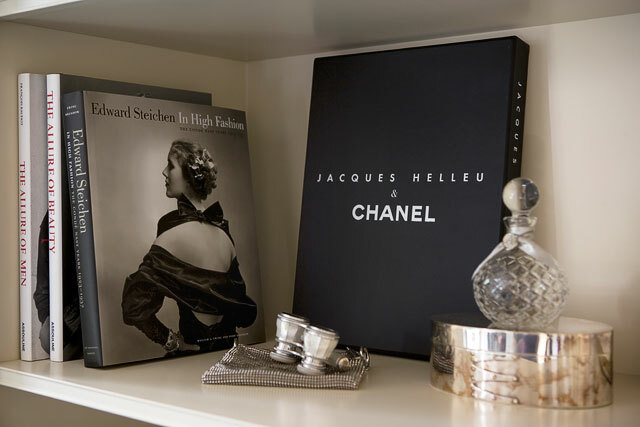 Choose just one of your interests to use as a theme for your vignette and subtlety pull in items that evoke that interest. Lighting is one of the best ways to change the mood of a home, room, or vignette. There are a million ways to light your vignette that can give it a little extra flare. In our experience, fluorescent lighting is rarely cozy so try to find alternate light sources if fluorescents are the room's main source of light. To add warmth to your vignette, consider lighting it with a sconce, lamp, or candle. In the winter, you could even set up your vignette close to your fireplace to harness that seasonal, cozy light source. It is often suggested when making vignettes that you should mix a variety of textures. When attempting a cozy vignette, try to include some inviting textures. This doesn't mean that every item in your vignette must be made out of a cozy material. We simply suggest adding a few softer touches like some silk roses or soft leather over having an entirely metallic assortment. Vignettes are often at their best when they include an assortment of items in a variety of sizes that create visual interest and depth in the space. When focusing your efforts on a cozy vignette, keep in mind the size of the space you are attempting to fill. Consider utilizing larger items that fill the space over numerous smaller items. 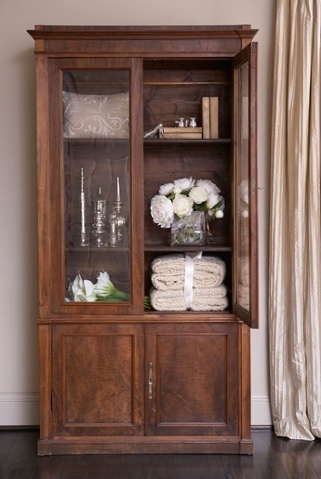 Vignette items are often more cozy when gathered in asymmetrical, odd numbered groupings. This phenomenon tends to give a vignette an organic appearance, where symmetrical, even numbered ones can be sterile. Along those lines, having the pieces of your vignette spread equidistant in the allotted space is less inviting than a vignette where items are grouped together in the space with some of the items touching. A tabletop vignette with a plant stacked on a couple of books is often more cozy than having two books and a plant all laid out equally on the table's surface. There are endless possible ways to create a beautiful vignette. These five ideas will help you create a unique, classic, and cozy vignette. How do you add coziness to your home? 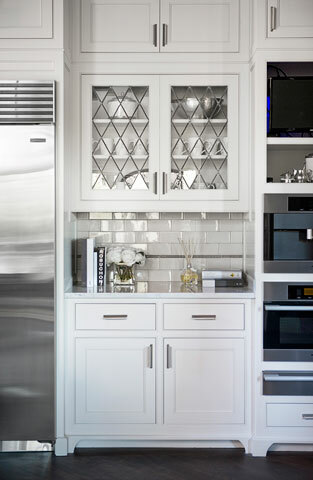 For more tips on using accessories in your home, see these tips accessible below.